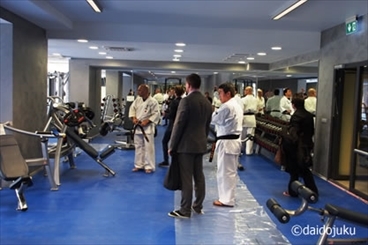 As it was reported in the previous posting, Japanese delegation leaded by Grand Master Azuma visited Grand Opening Ceremony for the new sport gymnasium "Teras", which is going to become one of the centers for Kudo practice, in Tallinn, Estonia, and supervised several Kudo-related events there. 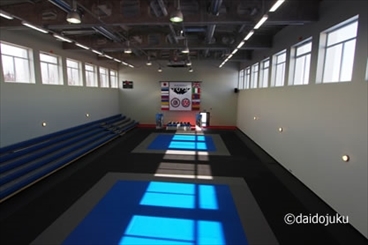 In anticipation of next year 4th World Championship several seminars are planned to be hold in Europe and neighboring countries (May - Swiss, Italy, June - UK). This time participant representatives came from Japan, Russia, Ukraine, UK, Mongolia, Estonia, Belarus, and Poland and Slovakia as observers. 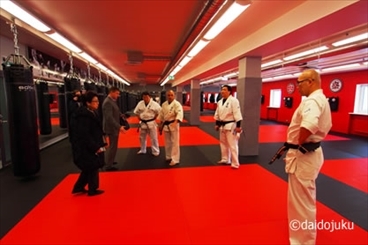 The participants had an opportunity to discuss various issues with Grand Master Azuma during unofficial meeting.